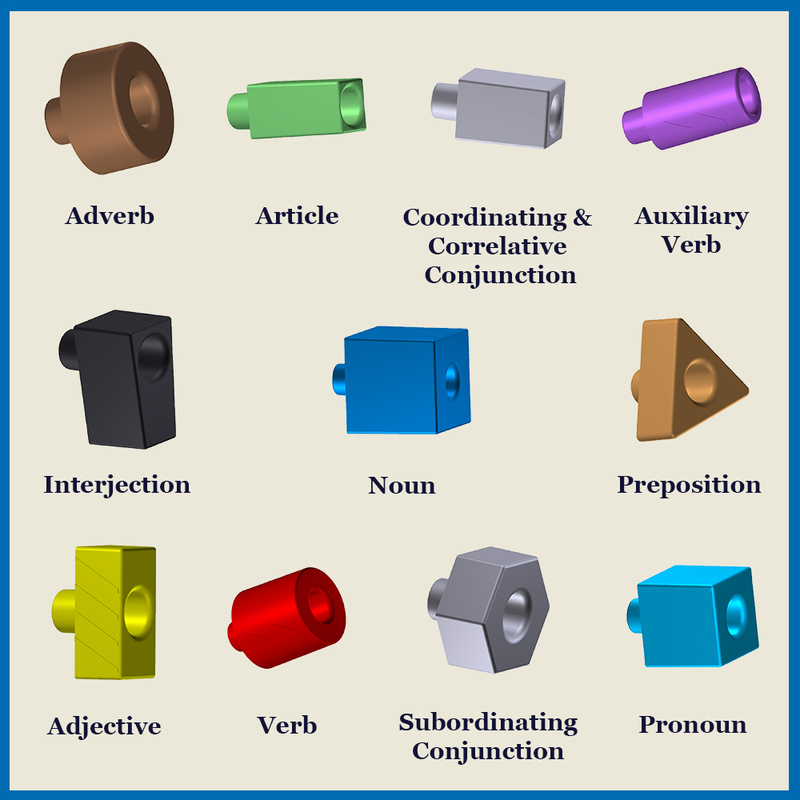 The cornerstone of our solution is the use of 3D shapes to represent parts of speech. The tactile nature of using 3D shapes improves students’ cognitive skills helping them retain and recall learned information. Studies show the extraordinary value of using manipulatives (shapes) in education.